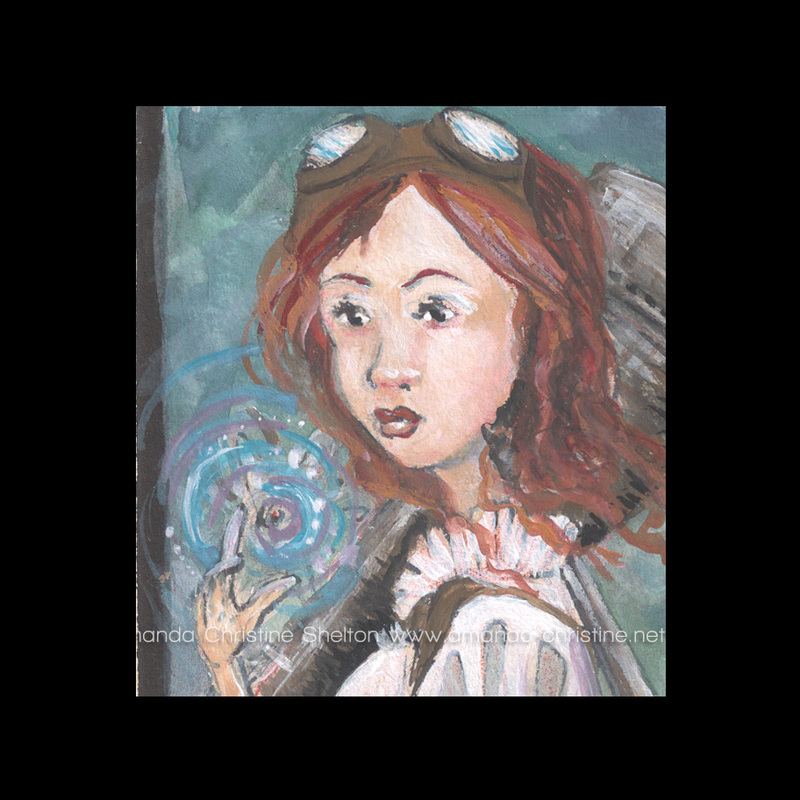 I had this steampunk-ish sketch on some paper I had stained with tea a few months back and last night painted it with gouaches and washes of ink and white acrylic. 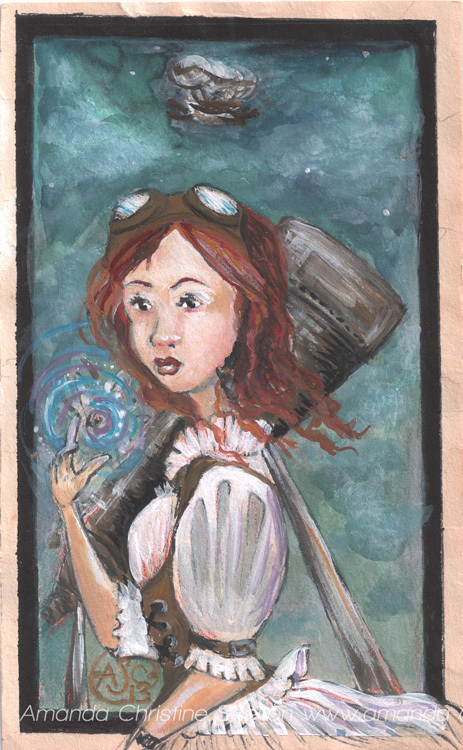 "The Star Thief" Amanda Christine Shelton 2013 ink/gouache/tea on paper 3x5 in. This is also up in my Etsy shop- get it here.